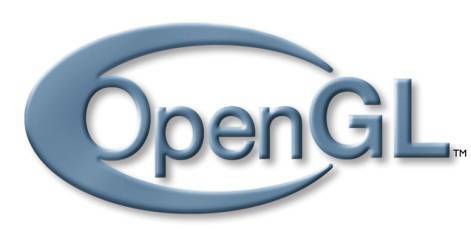 OpenGL (Open Graphics Library) is a standard specification defining a cross-language cross-platform API for writing applications that produce 2D and 3D computer graphics. The interface consists of over 250 different function calls which can be used to draw complex three-dimensional scenes from simple primitives. OpenGL was developed by Silicon Graphics Inc. (SGI) in 1992 and is widely used in CAD, virtual reality, scientific visualization, information visualization, and flight simulation. It is also used in video games, where it competes with Direct3D on Microsoft Windows platforms (see Direct3D vs. OpenGL). OpenGL is managed by the non-profit technology consortium, the Khronos Group. At its most basic level OpenGL is a specification, meaning it is simply a document that describes a set of functions and the precise behaviours that they must perform. From this specification, hardware vendors create implementations - libraries of functions created to match the functions stated in the OpenGL specification, making use of hardware acceleration where possible. Hardware vendors have to meet specific tests to be able to qualify their implementation as an OpenGL implementation. Efficient vendor-supplied implementations of OpenGL (making use of graphics acceleration hardware to a greater or lesser extent) exist for Mac OS, Microsoft Windows, Linux and many Unix platforms. Various software implementations exist, bringing OpenGL to a variety of platforms that do not have vendor support. Notably, the free software/open source library Mesa 3D is a fully software-based graphics API which is code-compatible with OpenGL. However to avoid licensing costs associated with formally calling itself an OpenGL implementation, it claims merely to be a "very similar" API. On some platforms, notably mobile phones, handhelds and game consoles, a reduced API OpenGL ES is often used. OpenGL 2.0 was conceived by 3Dlabs to address concerns that OpenGL was stagnating and lacked a strong direction. 3Dlabs proposed a number of major additions to the standard. Most of these were, at the time, rejected by the ARB or otherwise never came to fruition in the form that 3Dlabs proposed. However, their proposal for a C-style shading language was eventually completed, resulting in the current formulation of GLSL (the OpenGL Shading Language, also slang). Like the assembly-like shading languages that it was replacing, it allowed the programmer to replace the fixed-function vertex and fragment pipe with shaders, though this time written in a C-like language. * Pixel buffer objects for efficient image transfers to and from buffer objects for commands such as glTexImage2D and glReadPixels. This functionality corresponds to the ARB_pixel_buffer_object extension. This functionality corresponds to the EXT_texture_sRGB extension. Boosted cube map visual quality and multisampling rendering flexibility by enabling shaders to directly process texture samples.